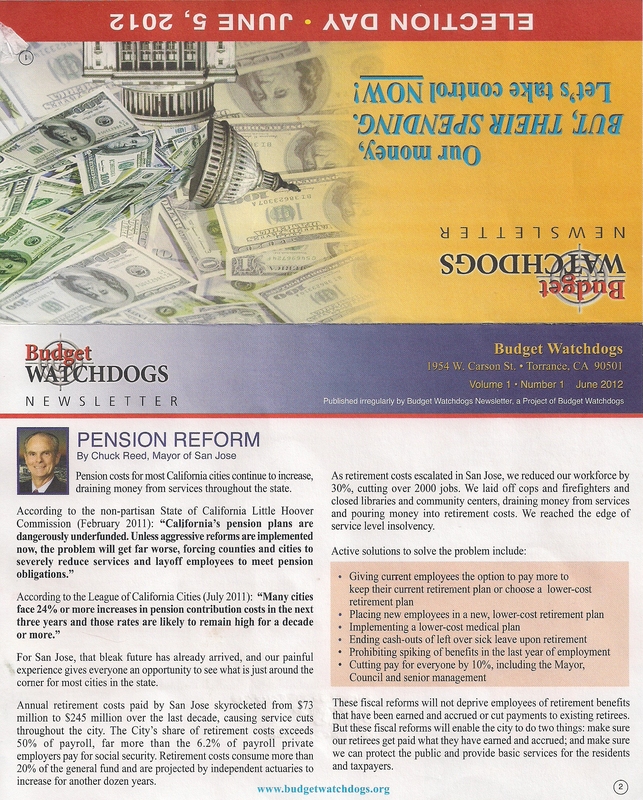 This slate mail piece arrived in the mail last week called “Budget Watchdogs.” It used to go by the name “California Voter Guide” when it went out in previous years and I must say that I am not impressed. Tim Carey charges an arm and a leg for his slates and they appear to get worse every election. 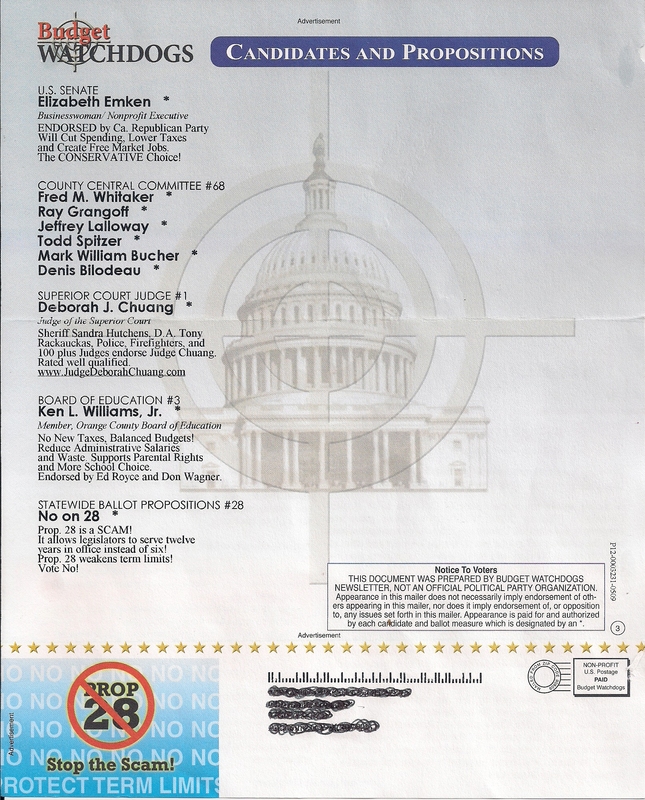 This entry was posted on May 21, 2012 at 8:49 AM	and is filed under Mail. You can follow any responses to this entry through the RSS 2.0 feed. You can leave a response, or trackback from your own site. They are all corupt even budget watchdog who gets money from measures who pay the most money bunch of crooks who are sending slates to homes to vote on certain measures voting coruption.